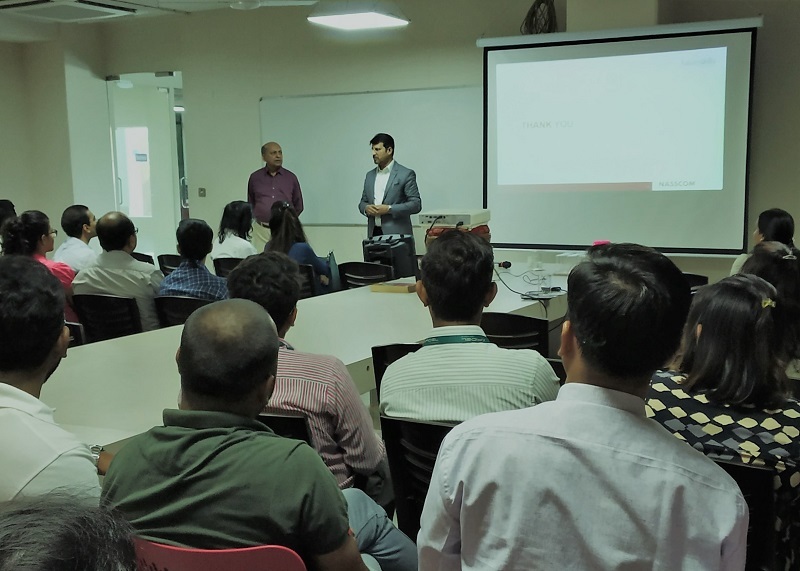 Rishabh Software recently hosted a workshop from National Association of Software and Services Companies (NASSCOM) on “Preparing for a Digitally Transformed Future” at their Vadodara campus on Tuesday, March 19, 2019. 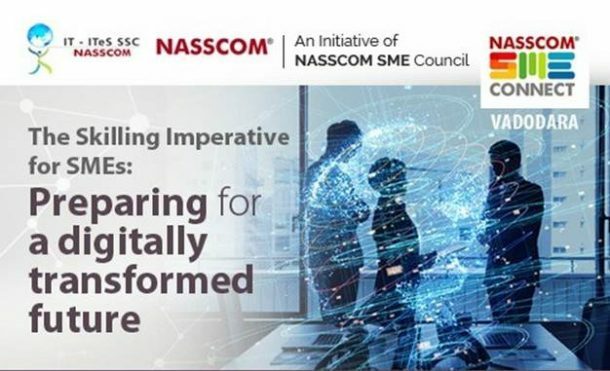 The two-hour session was an initiative from the NASSCOM SME Council and Future Skills. It was supported by GESIA. And, it covered the extensive theme about how SMEs can scale up for Digital Transformation by upskilling their existing talent. Ms. Kirti Seth, Consultant, Future Skills, NASSCOM through her address covered the various facets of reskilling. Ms. Seth emphasized on the need for addressing future skills for the modern workforce. Further, Mr. Girish Kulkarni, National Lead, Apprenticeship, as part of his presentation covered the salient aspects of RLA & Apprenticeship. Mr. Maulik Bhansali, Council Member for NASSCOM – Western Region (CEO of NetWeb Software) also shared updates on NASSCOM’s initiatives focused on reskilling for Gujarat region. The session witnessed participation from senior members of various esteemed organizations from Vadodara and rest of India. The discussion was centered on how a well-planned digital transformation strategy will offer a competitive edge to organizations. It was with the right mix of business strategy and the latest technologies. How developing skills and tightly tying the learning values can help organizations build a better workforce. Suggestions on optimal ways to utilize disruptive digital technologies to transform the way they help customers create new revenue streams and new customer experiences. To conclude, the talk brought to the fore the necessity to identify creative solutions to overcome the skill shortage. Moreover, how this will help SMEs to effectively utilize their ecosystem by bringing future tech skills to accelerate the business transformation.